Kitchen appliances Warrington ordered and supplied from our Stockton Heath kitchen showroom. Neff kitchen appliances frequently appear in our Warrington kitchen designs. The range of Neff induction hobs and the new Neff slide and hide single oven are ever popular choices with local Warrington customers. If you want something a bit different when it comes to extraction, Elica has a large range of interesting and quirky styled extractors to choose from. All of the usual sizes are available with the extra element of design and styling the main focus. Bosch appliances are a go to brand when considering water based integrated appliances such as integrated washers and dishwashers. All standard 60cm wide and 45cm wide appliances are available. 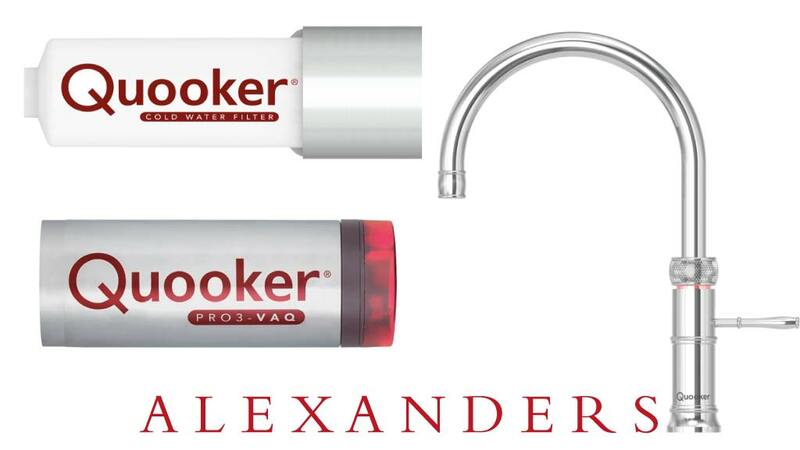 The hottest tap on the market, Quooker offer an excellent option to the standard kitchen tap. Boiling water, and filtered water is now available along with the normal hot and cold feeds making this the ultimate tap of the future. A great safety feature eliminates the risk of children accidentally activating boiling water making this tap useful, versatile and safe. New models now carry of a more traditional look more in keeping with classic in frame painted kitchen styles as seen at our Warrington kitchen showroom. Franke sinks and taps are well known in the kitchen industry as a solid durable and sturdy brand. Offering high quality sit on style sinks and modern taps along with designer under-mounted stainless steel sinks. Whether a single bowl sink or 1.5 bowl sink is required Franke has many high quality kitchen solutions. 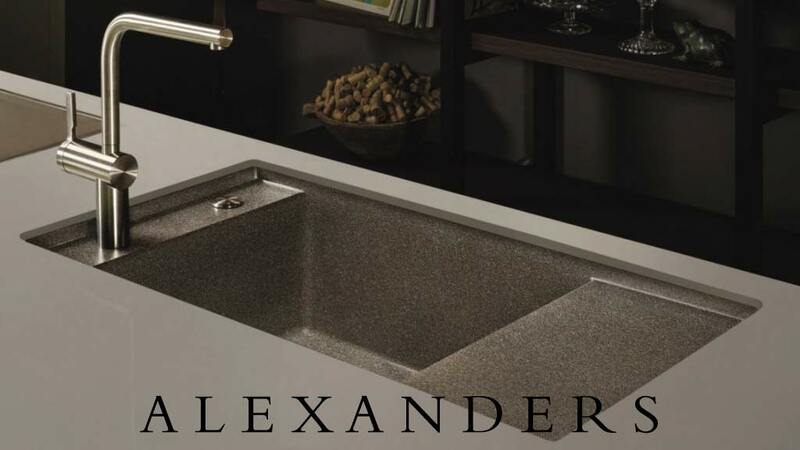 Follow Alexanders Kitchens on Twitter to keep up to date with our frequent Warrington kitchen appliance special offers and kitchen sales in the area of Warrington. Browse our kitchen appliance category’s below for more information about Ovens, Hobs, Extractors, Refrigeration, Sinks & Taps, Washing, Dishwashers, Wine Coolers or even Coffee Machines. Single ovens are a standard requirement for the average home. They can be built under worktop level or built into a tall oven housing raising them up to eye level for ease. Double ovens can be utilised in the same ways as single ovens although dimensions will vary in overall capacity from built under to built in. Combi Ovens are perfect as a back up oven to a main single oven. This Appliance also eliminates the free standing microwave which free’s up valuable worktop space. Range cookers are great for an all in one cooking station and create quite a feature. 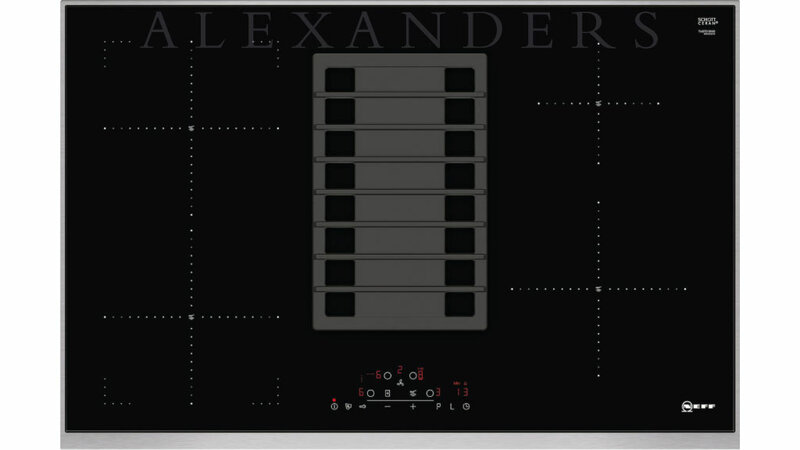 They are available in different widths usually 90cm, 100cm, 110cm and 120cm. Colours are a nice option that help with the overall styling of a kitchen design. Gas, LPG and Induction options are available. Hobs are available in many widths and depths. Standard sizes are 60cm 70cm 80cm and 90cm. Gas, LPG or Induction types are available. There are four main types of extractor. Chimney hood, Canopy, Island and Down-draft. 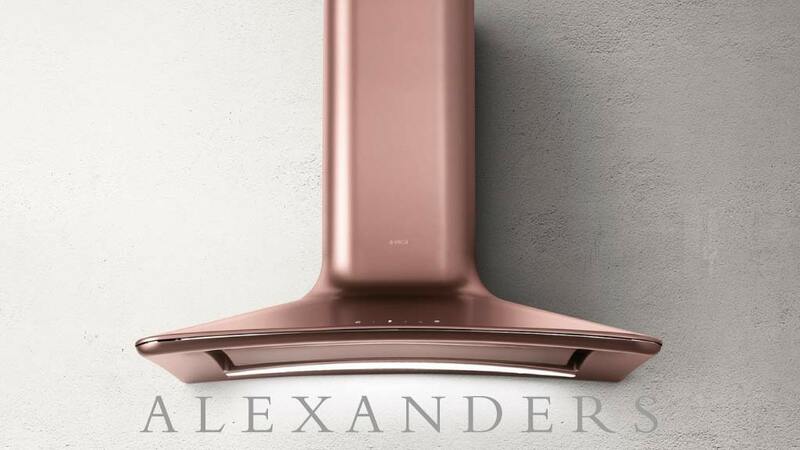 Chimney hood extractors are located on walls above the hob. Canopy extractors are concealed within a decorative canopy or mantle. Island extractors hang from the ceiling above an island located hob and can create a focal piece offering light to the surrounding area. Down-draft extractors are located below the worktop behind a hob and raise up when in use. Many options are available with refrigeration. Built under and built in integrated fridges and freezers are available but there are also many other combinations such as full height fridge and freezer or 70/30 split fridge freezers or even a 50/50 split fridge freezer. The options help to find the right balance for your home and can make a design more aesthetically pleasing when considering door alignment. Integrated dishwashers have many different features such as fast cycles and half washes. They are available at 60cm standard width or 45cm slimline, useful for tight spaces. Integrated washer dryers are great for hiding this workhorse machine but usually a separate washer and dryer will perform better and be more durable as the hot-cold, wet-dry cycles have a negative effect on durability perishing the rubber seals faster. If you have the space, go separate and save in the long run. Stainless steel sinks, ceramic sinks, composite sinks and granite sinks. Sit-on sinks sit above the worktop level and have their own drainer section. Alternatively if you decide on granite, quartz or solid wood worktop you may prefer to have an under-mounted sink which is designed to sit beneath the worktop. In this case the worktop is cut out around the sink template and polished along with a separate tap hole allowing the tap to sit directly on top of the worktop. There will also be drainer grooves cut into the worktop. Chrome, Brushed Steel, Stainless Steel, Silk Steel, Copper, Brass. Tap options are vast. There are many styles, Modern and Traditional in many finishes. 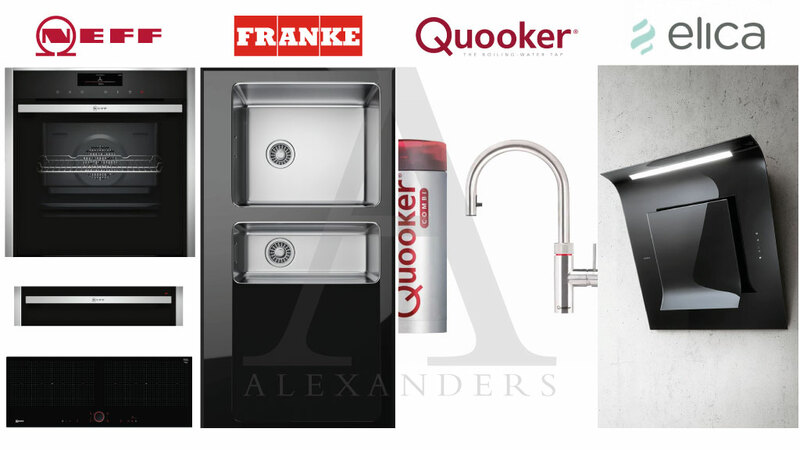 Single lever, Double lever, Filtered and even boiling water taps such as the Quooker. Built in coffee machines look impressive and are usually a must for coffee lovers. Wine coolers are available in many capacities. Typical widths are 15cm, 30cm 60cm. Built under worktop and built in to a tall housing are available or recessed into a wall to create a feature.